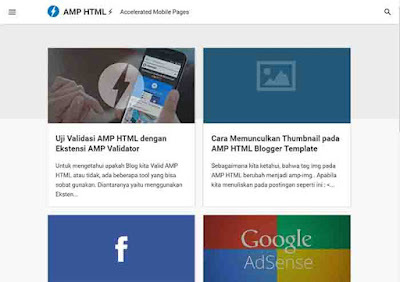 10 Template Blog AMP Terbaik Gratis Download. 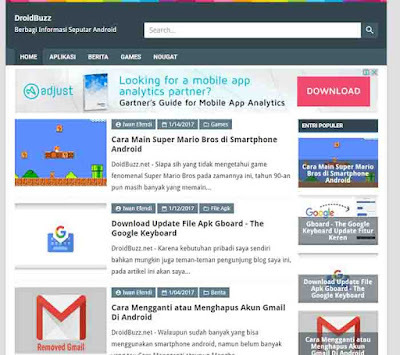 Katanya AMP Blogger Templates sangat bagus buat indeks Google. Namun, template AMP (Accelerated Mobile Page) masih kurang populer karena cara postingnya yang "ribet". Amp news is one of the best Amp Template for Blogger. 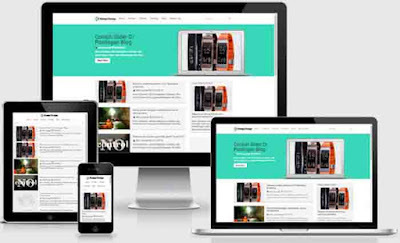 It looks good on every device because of it's responsive and AMP ready design. The beta press is a clean amp theme for Blogger. This theme has no sidebar. It takes short time in loading on every device. This template has a nice and attractive design that will make your blog stylish and user-friendly. Vletters AMP Blogger template is a nice theme for Blogger. 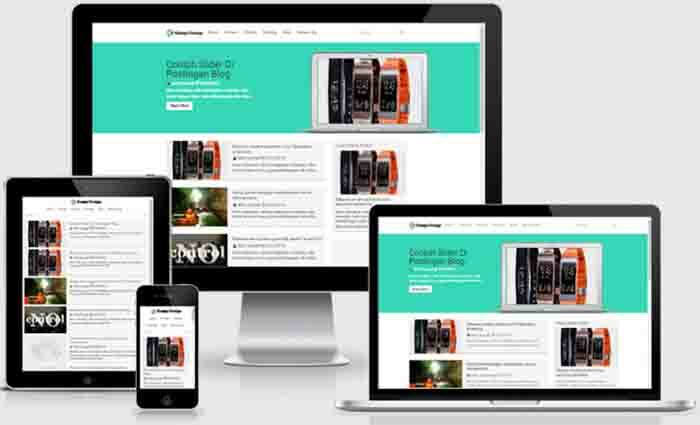 This theme is SEO optimized, full responsive that will display awesome on all kind of devices. 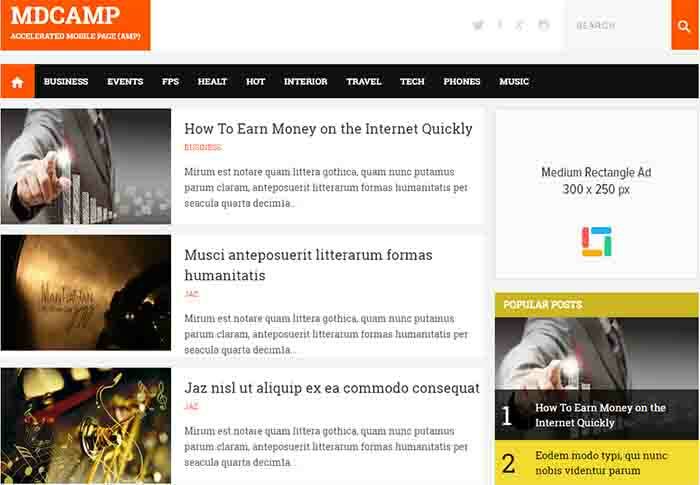 Kompi design is another AMP Blogger template that you can download for free. It has a beautiful layout that is responsive and looks good on every device. And this Blogger theme also has a sticky navigation. Mdcamp is clean design for personal blogs. Is has a responsive layout that looks nice on all devices. 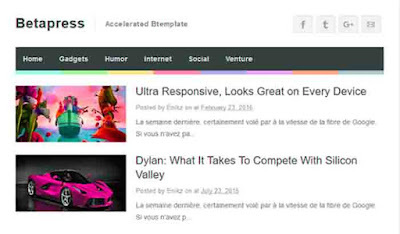 This template is SEO friendly Blogger Template. AMP HTML is a good looking template for Blogger. It has a responsive grid views design that looks nice on every device. AMP is another SEO friendly theme. And Also It has a sticky navigation. DroidBuzz is a simple Blogger template that has a responsive layout that looks good on all devices. DroidBuzz has two columns and this theme is SEO friendly. Evo simple valid AMP is a clean and simple Blogger template. It has a fully responsive layout that looks good on every device. 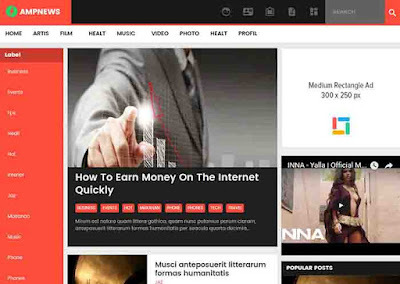 This theme is SEO friendly and optimized for Adsense. 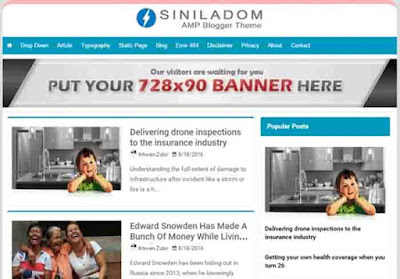 Siniladom is another amp Blogger template that has a simple and responsive design. This theme is also optimized for displaying Ads. And it comes with many other features. 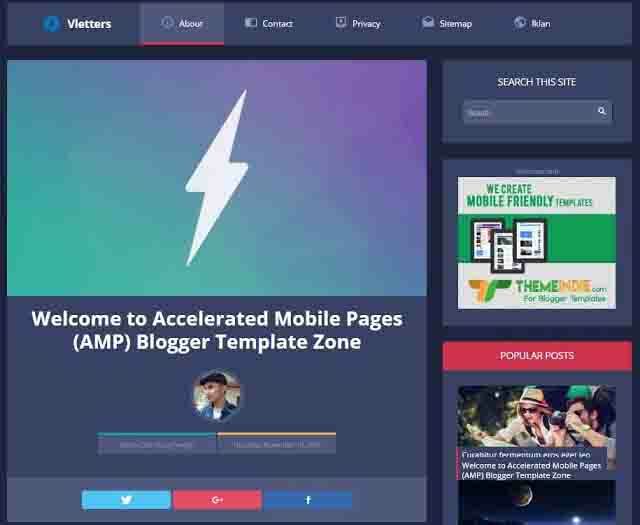 0 Response to "Top Best 10 Template Blog AMP Terbaik Gratis Download"